Revisions to Law No. 5/1990 on Conservation of Natural Resources, Biodiversity and ecosystems (Law No. 5/1990) are under discussion at the legislative and executive levels in Indonesia. 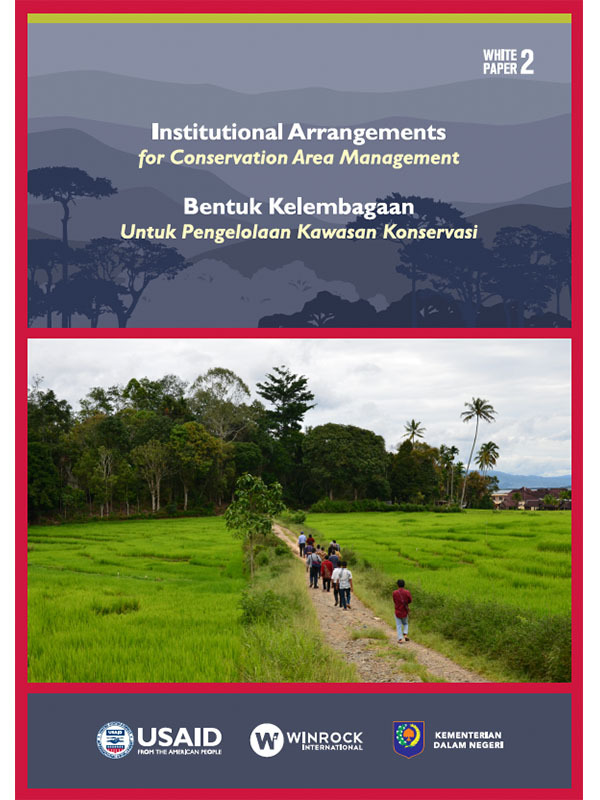 This second White Paper focuses on “institutional arrangements for conservation area management.” We have gathered expert opinions on the matter. This discussion is part of a series, following on from Focus Group Discussion (FGD) 1 (White Paper 1), which discussed Essential Ecosystem Areas (KEE). Expert opinions – integrated into scientific arguments – can serve as valuable input to Government bodies revising the current law. In discussion on revisions to Law No. 5/1990, a frequent issue that sparks debate is the institutional arrangement related to management of conservation areas. Conservation efforts intersect with different ecosystems, sectors and Ministries/Institutions. There is a great need for clarity in the relationship between Central and Regional Government authorities, land and sea ecosystem conservation, institutional management and relations with the private sector.